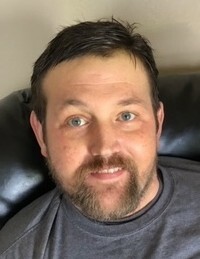 AVERON CHRISTOPHER “CHRIS” ACKLEY, age 39, of Washington CH, passed away on Palm Sunday, April 14, 2019 at 3:44 p.m. at his home surrounded by his family. He was born on February 15, 1980 in East Lansing, Michigan to Averon and Eva Robinson Ackley. He was a 1999 graduate of Washington High School. Chris was a member at The First Church of the Nazarene, The American Rabbit Breeders Association, and The National Creme D-Argent Rabbit Federation. He had a passion for raising rabbits including; New Zealand’s, Californians, and the Creme D-Argents. Chris also loved being a father to his three daughters; they operated The Willow Tree Farm and Rabbitry, formerly known as the 3 K’s Rabbitry. Survivors include his parents; his wife, Suzette Duron Ackley, whom he married on March 21, 2009 at The First Church of the Nazarene by their close friend, Pastor Dan Justice; children, Sarah Duron, Noreva Ackley, and Myka Stansbery; brothers, Aaron Ackley, and Adam Ackley; nephews, Cain Ackley, and Christian Ackley; and his loving grandparents, Raymond and Phyllis Robinson. Also surviving are aunts, uncles, cousins, and a host of friends. The funeral service will be held on Friday, April 19, 2019 at 11:00 a.m. at The First Church of the Nazarene, 990 St Rt 41 SW, Washington CH, OH 43160, with Pastor Dan McLean officiating with burial to follow at the Washington Cemetery. Family and friends may visit at the Summers Funeral Home on Thursday evening from 4-8:00 p.m. and again at the church on Friday morning from 10:00 a.m. until the time of service. Memorial contributions are suggested to Ohio’s Hospice of Fayette County, 222 N. Oakland Ave., Washington CH, OH 43160.